It's actually surprisingly easy to help bees and pollinators and to attract them to your garden, with these simple gardening tips to help bees. Even if you only have a very small garden or yard, you can do something. There are also more things you can do than simply plant flowers, and some of these may involve small changes to a few gardening habits. So please read on, and see how many things you can do.......! 1. Install a solitary bee house to help solitary bees. Either make one yourself from a block of wood with holes drilled into it, or use hollow canes. If you don’t have time, there are ready-made bee houses widely available, and they also make lovely gifts for gardeners and nature lovers. This bee house is available from Amazon. Some ground nesting solitary bees may use it for nests, or mason bees may gather the mud for constructing their egg cells. If you discover a nest of ground nesting bees, mark the spot if necessary, as a reminder to leave the area undisturbed. Ensure you include a wide variety of flower shapes in your garden to suit a variety of bee species with different tongue lengths and foraging preferences. Both nectar and pollen are vital for bees. Select plants which are high in nectar, pollen or both. Highly cultivated, ornamental plants such as begonias, are often of very limited value. One sign of hihgly cultivated flowers is that they have many, many petals, where as simple, open flowers are often more attractive for bees – take a look at these roses, which are a magnet for bees in comparison with heavily cultivated types. Plan your garden to provide flowers for as long a season as possible – some bees may emerge early in the year, others may emerge late. This gardening tip to help bees is often forgotten about. Include a source of water for bees for use back at their nests. A small pond will suffice – or even a shallow bird bath with stone inside to ensure bees can make their way to the water’s edge safely. One of my top gardening tips to help bees! Don’t clip back and burn stems from shrubs, plants and bushes – the hollow stems might be used by bees for overwintering (and other helpful invertebrates). Instead, cut them back in spring if you have to, and leave them (un-burned) in a pile at the back of the garden. Don’t use pesticides in your garden. It's not rocket science: insecticides are for killing insects – and of course, bees are insects. No matter what manufacturers say, the evidence is that products such as neonicotinoids are harmful for bees. Even the patents for products containing neonics suggest this is the case. Include native wildflowers in your garden – create a wildflower area in your lawn, or add a few to the border. 10. Many flowering trees and shrubs are fantastic for bees! Remember, flowering shrubs and trees provide fantastic, efficient foraging (and sometimes nesting) opportunities for bees - either in the trunks of trees or at the base of trees and hedgerows. 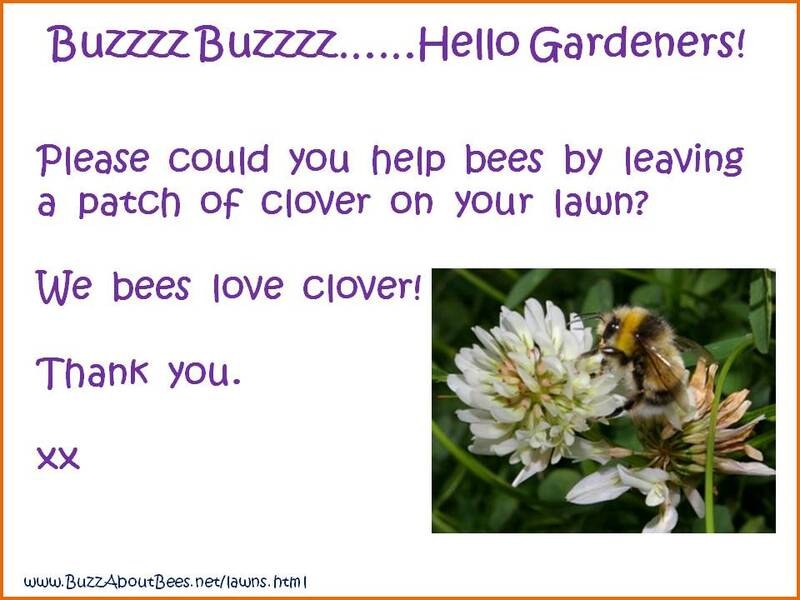 Include clover in your lawn, or mow around patches. Others you could consider are bird’s foot trefoil, self-heal and thyme. 12. Fruit and veg - feed yourselves and the bees! Remember, many fruits and vegetables provide fantastic foraging opportunities for bees – climbing beans add to vertical gardening and produce flowers bees will enjoy, with beans for you and your family later. 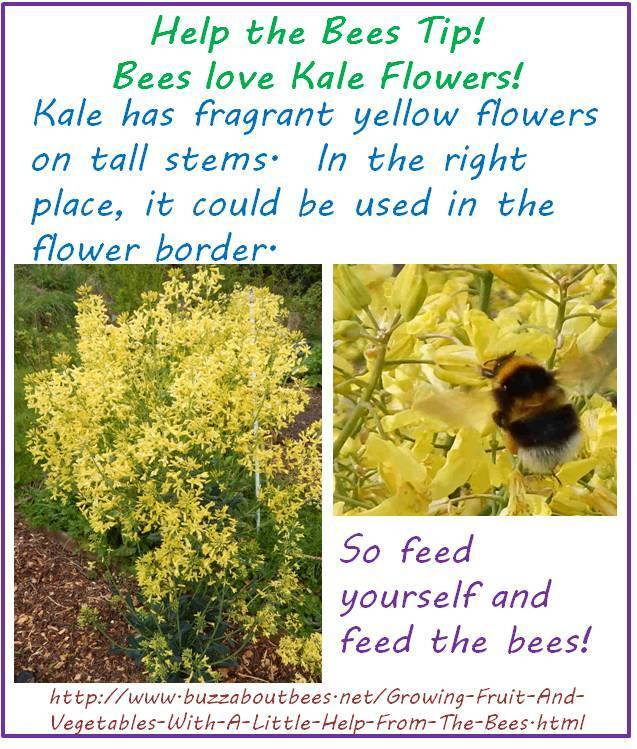 Kale and other brassicas can be left to flower, and produce a wonderful yellow mass (and seeds can sometimes be harvested and eaten too, as with kale – but please check first). Autumn raspberries will tolerate some shade, and bees love the flowers! Include herbs in your garden and allow them to flower – and please share with your neighbours – some are easily divided, such as chives. See this list of herbs for bees. Pots of herbs for friends and family can make lovely, personal gifts too! Ever popular, and always in fashion. Plant clumps of flowers of the same type in several areas of your garden if you have space, especially if different parts of the garden have varied amounts of sunshine. This will ensure that some of the flowers will be at their peak a little earlier than others, thus extending the benefit to pollinators. Beauty never goes out of style, and cottage garden flowers are ALWAYS in - I don't care what anyone says! Think lovely lupins, cute cosmos, dashing delphiniums, happy hollyhocks, fabulous foxgloves and wonderful wallflowers......the list goes on! Plant flowers in drifts if you can – it is helpful visually and helps ensure foraging is more efficient. 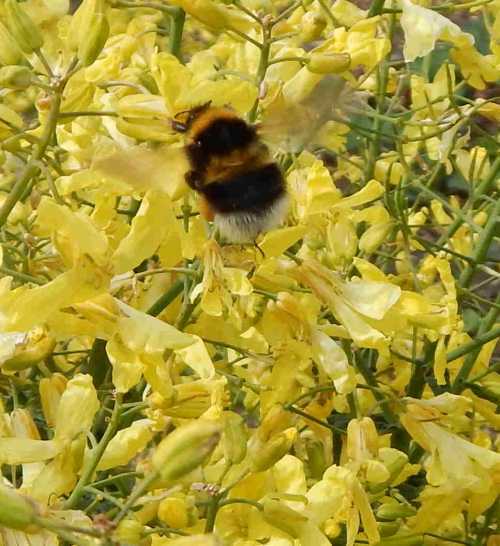 Conduct an informal survey of the floral abundance available in your area: ask a local conservation organisation if it would be beneficial to help cultivate certain plants in your garden, to complement other conservation work to benefit pollinators. Short of space? Use climbing plants to grow vertically, thus making efficient use of your available growing space: passion flower, jasmine, honey suckle, pyracantha etc. Window boxes, hanging baskets, and pots of plants can all help. I have seen walls, and blocks of apartments where many of the residents have simply decided to try help pollinators by planting them up hanging boxes and balconies with flowers for bees. 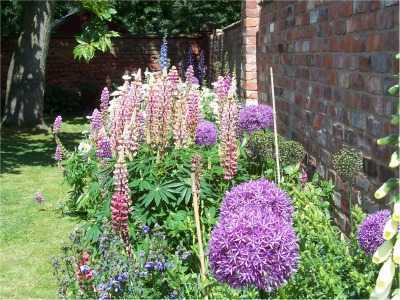 Communal gardens can also be used to grow food and flowers. Create a simple nest site for bumblebees: they may use a bird box, upturned plant pot or old teapot under the shed. Furnish it with a little hamster bedding to encourage bees to nest there (but please do not try to force bumblebees by trapping queens). Some species of flowering plant are wonderful for bees - but invasive in some regions of the world. For example, Purple Loosestrife is fine in Europe, but in New Zealand it can cause problems. If you are unsure, check with your local conservation authority. There are plenty of plants out there to choose from, so there is no need to put the local environment at risk. By the way, non-native does not mean 'invasive'. Many non-native plants provide superb amounts of nectar and pollen for different bee species. 20. Becoming a beekeeper is not always the best idea! Honey bees and beekeepers are important, but if you live in an environmentally sensitive area, please think twice about keeping bees – it may be better to allow the wild native bees to reign supreme – a full explanation can be found here. There are no 'keepers' of wild bees, and they are experiencing real problems! Finally, do remember that a garden is also for you to enjoy! The idea is to create a garden which can be enjoyed by you, your family, and be helpful to pollinators. Contrary to common belief, it’s not always necessary to allow a garden to become overgrown, such that you don’t enjoy it yourselves! You’ll find more gardening tips to help bees and further information with a PDF download on this page. 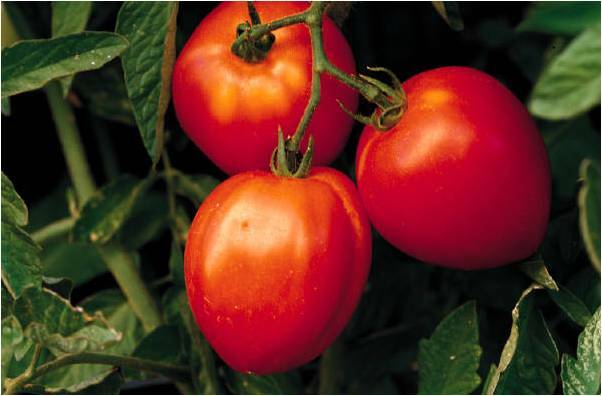 Harvest the leaves in year 1, and continue harvesting in year 2 until the plant produces flowers. The pale yellow, fragrant flowers are loved by all kinds of bees! Read about my favourite fruit & veg for bees.